Superior Fence ’s North Florida location provides high quality fencing in Ponte Vedra. 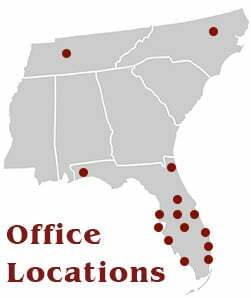 We are licensed in St. John’s County and are aware of all Ponte Vedra city ordinances. We know that being on the coast of Florida, hurricanes are a real threat to Ponte Vedra and you need fencing that can withstand storms. We understand that a fence is a large investment, and you want it to last. We also know that you may have questions about the types of fencing available and what is best for your situation and budget. Superior Fence gladly educates and consults our clients on fencing solutions, and together we are confident we can provide the best fence for your Ponte Vedra home or business. We only use the best products in all of our Ponte Vedra fence and rail installations. Super Fence and Rail provides pool fencing, dog fencing, decorative fences, commercial fences, and chain link fencing as well as numerous types of gates and entry ways. We can also provide aluminum fences, vinyl fences, wood fences, and eco-friendly composite fencing.